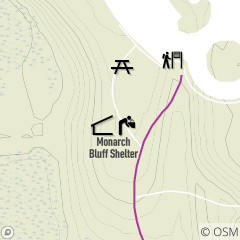 Monarch Bluff Picnic Area features a small shelter with tables and a water fountain. The close proximity to the Watershed Stewardship Center and all-purpose trail adds to the experiences available. Cleveland needs your help in an international citizen science event! No need to panic, we're just excited warmer weather is on its way! Our local amphibians like to spend time in wet and soggy areas. Let's search the meadows and forests for insects. The emerald month of May is revealing the color that embodies nature itself.